Here is a versatile and stylish storage shelf with coat hooks and storage cubbies for organizing all of your outdoor gear. 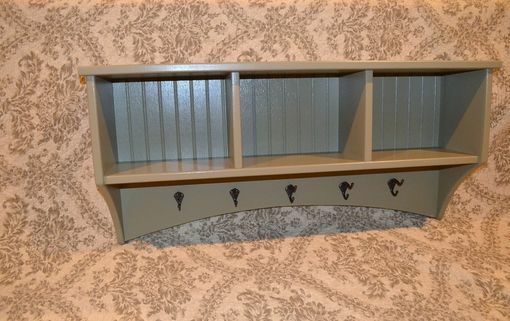 The shelf can be painted to the color of your choice with a durable clear topcoat that will keep it looking great for years to come. The sample in the photo is made from locally harvested poplar and measures 38" wide, 18" tall and 8 1/2" deep. 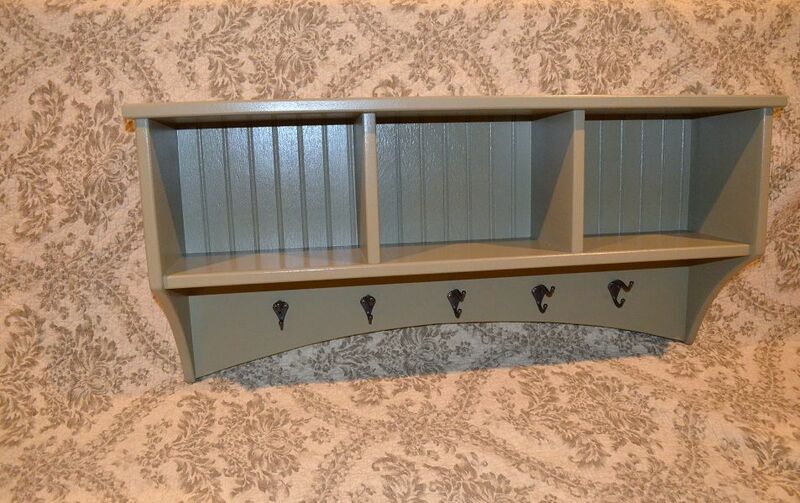 The color in the sample is Barro Verde, which is a stylish green color, but we can produce these in any shade from the Pittsburgh Paints color palette -- just let us know the color name and number and we'll get it for you. The hooks are oil rubbed bronze, but we can also substitute different colors and finishes if you prefer something different. 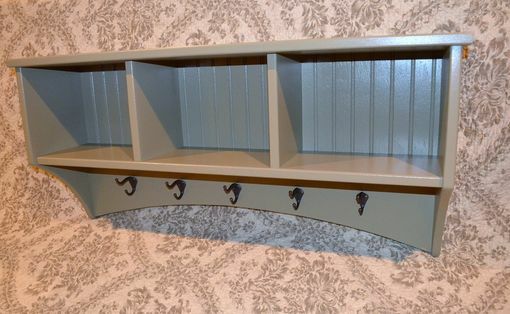 The shelf hangs on the wall with metal reinforced keyholes that hold the shelf snugly to the wall. 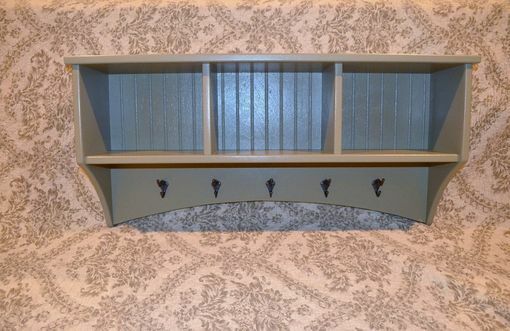 The shelf can be ordered in a variety of custom colors, sizes and wood types. Contact us today to get your project started!